Erma Louise Macbeth Shesler, 98, died January 25, 2019 at Rolling Green Village Health Care Center, Greenville, SC. She was born July 9, 1920 in Savannah, GA, the only child of James Ira and Eugenia Louise Herron Macbeth. Elmer George Shesler, her husband of 69 years, passed away June 9, 2009. She was a member of Bethel Presbyterian Church in Harriman, TN, and a member of the Order of the Eastern Star in Kingston, TN. 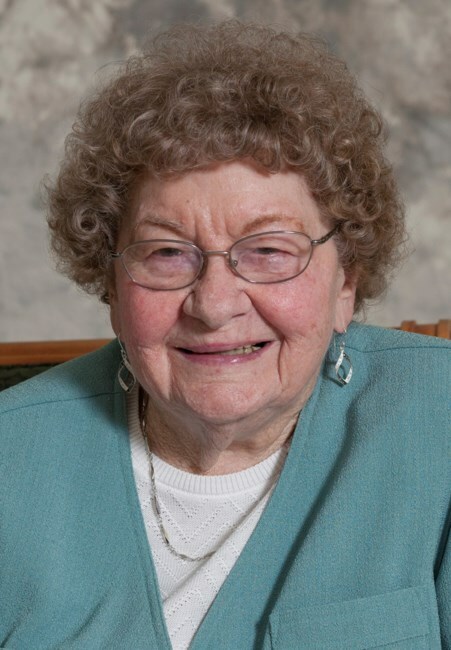 Erma was an excellent wife, mother, and homemaker and enjoyed sewing, crafts, cooking, and playing bridge. After her marriage to Elmer on September 16, 1939, they lived in Yonkers, NY; Lakewood, OH; Bennington, VT; Fostoria, OH; Harriman, TN; and Greenville, SC. Surviving are her two daughters, Brenda Louise Strickling of Harriman, TN and Erma Macbeth and her husband H. Robert “Bob” Rayle of Taylors, SC; her son-in-law, George Swinler of Williamstown, WV; grandchildren: Cynthia Cortesio of Harriman, TN; Allen Strickling of Parker, CO; Kevin (Ann) Rayle of Knoxville, TN; Michael (Barbara) Rayle of McKinney, TX; Lisa (Neal) Broadhead of Inman, SC; Sandra (John) Orland of Maple Heights, OH; George (Jacki) Swinler of Knoxville, TN; Paul Swinler of Glendale, AZ; Deborah Hall of Parkersburg, WV; and Ronald Swinler of Williamstown, WV; and 19 great-grandchildren. In addition to her husband and parents, she was predeceased by her grandson, John Clayton Swinler of Williamstown, WV; her daughter, Dianne Jane Swinler of Williamstown, WV; and her son-in-law, Lawrence Allen Strickling of Harriman, TN. A funeral service will be held on Saturday, February 2nd at 2:00pm in the Chapel at Mackey Funerals and Cremations at Century Drive. The family will receive friends at the mortuary an hour prior from 1:00 – 1:45pm. An interment will be held at Laurel Grove North Cemetery in Savannah, GA on February 4th . To sign the online register, please visit www.flandersmorrisonfuneralhome.com. Flanders Morrison Funeral Home and Crematory is in charge of local arrangements for Mrs. Erma Louise Macbeth Shesler .